This here is Karina + Alina. They're best friends with creative souls and rhyming names. They also have larger-than-life, infectious personalities. We twirled around, did push-ups, dipped our feet in water and danced. I'm not sure who laughed more during our session, but one thing is for sure: IT WAS A BLAST. 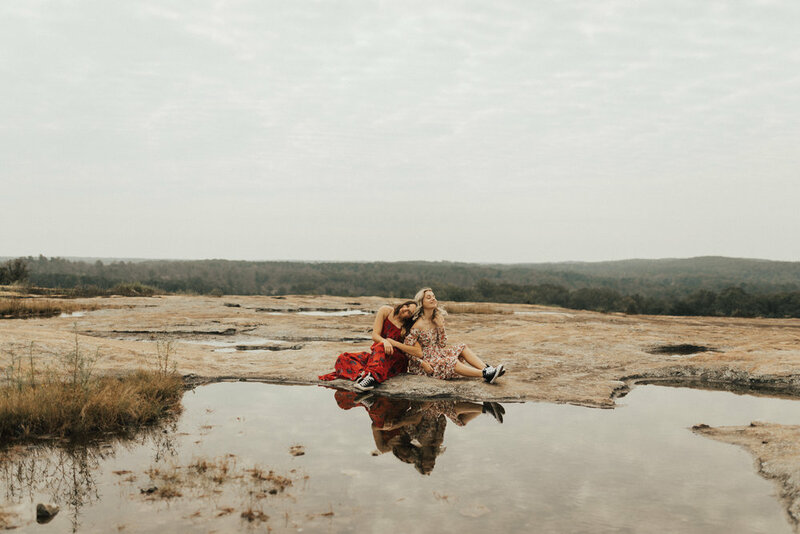 Grab your bestie, get out there and snap some photos! "You and I are more than friends; we're like a really small gang."